Wow – I had no idea this newsletter idea would become so popular so soon. Thanks everyone for signing up! I want to keep this as interesting as possible. Feel free to forward this newsletter to your friends and colleagues. And please send feedback or ideas anytime – I am always open for suggestions (e.g. via Twitter @bbrundert). 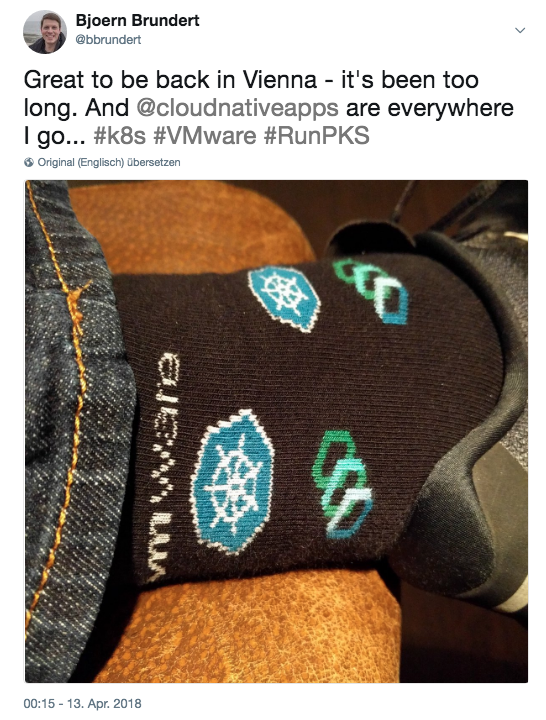 Here is the download link for Pivotal Container Service (PKS) on Pivotal Network. You need to create an account to get to the download bits. Documentation can be found here. 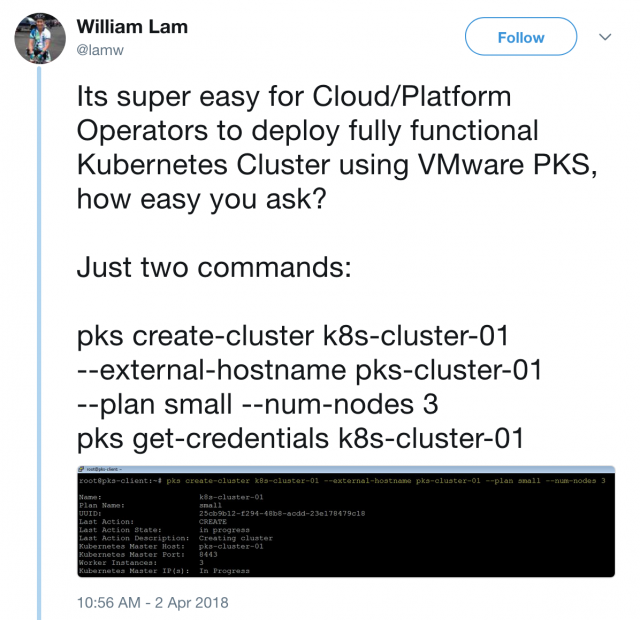 VMware Open-Sources Code Stream Plugin for Kubernetes (GitHub repo) – in case you have not heard of vRealize Code Stream or seen it, yet: here is a hands-on lab! Now into a little bit of networking: Multi-Tiered Routing Architecture with NSX-T (tldr: you can use only one but multi-tier routing gives you a lot more flexibility). Beyond The Phoenix Project Audio Series & The 5th Anniversary Edition Of The Phoenix Project – great to see new content on the 5th anniversary of the Phoenix Project. Still one of my favorite references when speaking to customers about the DevOps. Interesting overview about core concepts of Service Mesh with Kubernetes – great overview without going into the details of Linkerd, Istio or Conduit. Going deep into how the Kubernetes concept of “Deployments” works. #111 Google Cloud Platform with Sam Ramji has some pretty cool insights and I found it pretty inspirational – the interview starts at 3:50 min. Sam talks about “Codecation” (learning to code on vacation), “distribution cognition” and the human aspects of computing but also the future and role of computing in general. He also highlights the need for Edge Computing (see above) by saying that “computing is everywhere” that there are lots of reasons for “why computing belongs everywhere”.